I was already wondering how I could bless others in this task. 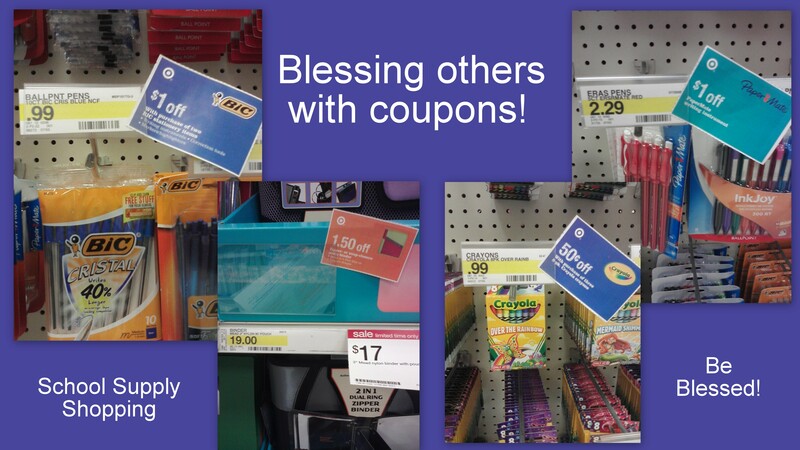 As we began loading items into our cart, I realized I had several coupons in my pocket. Everyone likes a discount, right? So I decided to bless others instead of myself today. I took each coupon and placed it with its respective item, then positioned it right by the price tag so they couldn’t be overlooked. Once again, I forgot to bring business cards, so this Random Act of Kindness is on the house! The next time you happen to see a coupon “just lying there”, take a moment to appreciate the small, but meaningful, act of kindness. Be inspired!